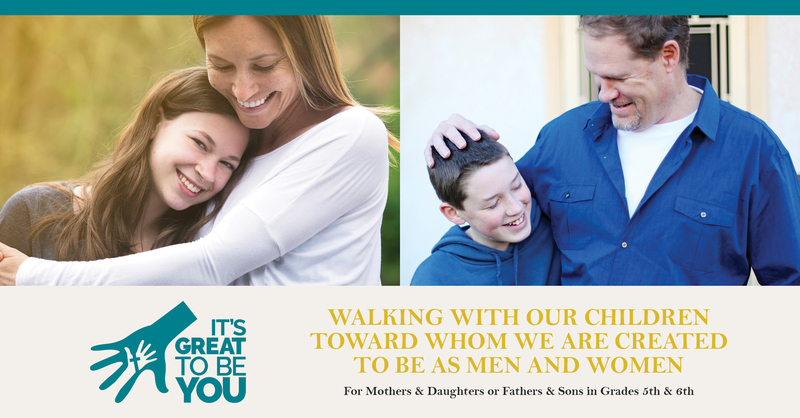 It’s Great to Be You (formerly All in God’s Plan) is an evening out for mothers and daughters or fathers and sons to open the conversation about God’s plan and who we are created to be as men and women. The evening includes speakers (ranging from a high school student to a medical professional) who discuss the emotional, spiritual and physical changes that young adolescents face. The event is free with the opportunity for a free will donation. This is most appropriate for grades 4-6. Parental judgement regarding age readiness is encouraged. If you would like this evening hosted in your area, contact eleedom@sfcatholic.org.